Paris - On the eve of the fifth anniversary of Egypt's uprising, French-Egyptian director Jihan el-Tahri has released a documentary chronicling the country's post-colonial history. Tahri, 53, the daughter of an Egyptian diplomat, was born in Lebanon and worked as a political journalist throughout the Middle East in the 1980s. She spent five years collecting footage, photographs and interviews for Egypt's Modern Pharaohs, a three-part series about former Egyptian presidents Gamal Abdel Nasser, Anwar Sadat and Hosni Mubarak. 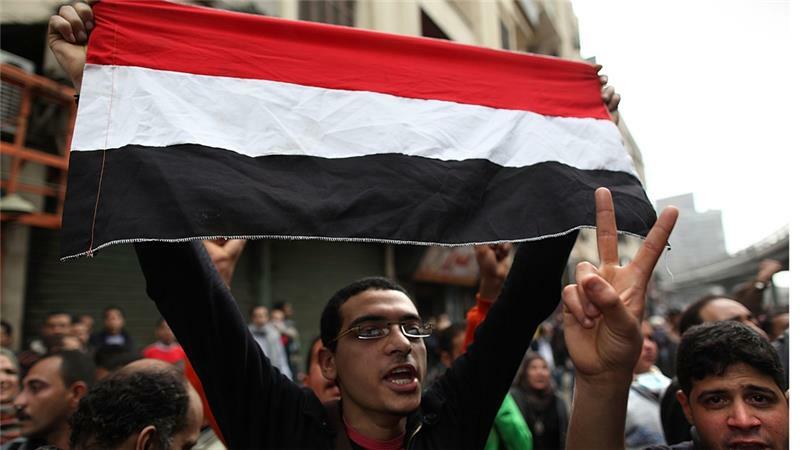 For decades, the military and religious establishments have been battling for power in Egypt. Tahri's work explains how Egypt has evolved since the people rejected the British occupation and overthrew King Farouk in 1952, and how the succession of events made the 2011 uprisings inevitable. Al Jazeera spoke with Tahri about the making of the documentary and her views on Egyptian society today. Al Jazeera: Why did you make this film? Jihan el-Tahri: I didn't intend to. As for most of my films, I don't decide in advance. It is something that keeps going in my head and starts obsessing me. I am my first spectator; I make films for me to understand. I had questions haunting me. A lot of my films are about the same questions: post-colonial Africa. What happened? There was so much hope. If you look at the first generation of independence leaders, they had great visions; they had true plans for the country. A lot of my films are about the process by which that happened. I have been trying to put my finger on where it goes wrong. Al Jazeera: Were you able to answer what goes wrong? Tahri: There are multiple answers. It's really at the moment of transition that these grand visions and dreams of liberation movements are then faced with the reality of power. When I went back to Egypt, two or three days after Mubarak fell, on Tahrir Square, people were selling black-and-white photos reflecting a nostalgia of the past. Photos of Muhammad Naguib, Oum Kalthoum, Abdel Hakim Amer. I found that very interesting. So I asked a friend of mine who works at the official magazine if I could look in their archives. I found photos from 1951, of people carrying placards saying "bread, freedom and social justice", which were the same slogans of what people chanted in Tahrir. So 60 years later, they were asking the same thing. I wanted to find out: Is this uprising a consequence of the failure of the post-colonial state? I wanted to look at the trajectory that made the revolt inevitable. Al Jazeera: Your film takes a close look at the "modern pharaohs" of Egypt. How did they build today's Egypt? Tahri: Each ruler came thinking that his vision and his vision alone would be the salvation of Egypt, and returning it to its ancient glory. And then, the only way to continue implementing this vision becomes impossible, except if repression is used ... So the slide into dictatorship has been very much based on good intentions. The road to hell is based on good intentions. There were major turning points where the projects were aborted. For example, Nasser had a clear industrialisation and development project, which was based on the hard work of the army because it was the only disciplined group that he could assign a task to that would be done without discussion, military-style. But then, the Yemen war in 1967 just smashed the entire project and the man, leaving the country in a great level of destruction. Sadat decided to start from scratch. He really saw the solution from a completely different angle. He sold the idea of Palestinian/pan-Arabism/pan-Africanism down the river and embraced the American vision. He embraced the idea of globalisation that we live in today. The idea of Arab unity was definitely not his thing. He needed Saudi Arabia, and he got it by lining up with the Americans. The Saudis were on very bad terms with Nasser. The country that would obviously align with Sadat's capitalist project would be Saudi Arabia. The end of the pan-African project was quite dramatic. Under Nasser, Egypt had become the big man of a continent. Egypt broadcasted in 18 African languages ... With Nasser, Egypt had a godfather; with Sadat, all radios were gone. Al Jazeera: What made the 2011 revolt inevitable? Tahri: People had been saying 'no' since 2004. People were out on the street every week since 2004. 2011 was the culmination. But what does democracy actually mean? The issue is having a voice as an individual; [but] as a people, you need to learn how to be a part of a political game. All Egyptians know is how to delegate to a voice of a ruler. Is it uprising? Is it revolt? Is it revolution? 1952 was a coup d'état. It became a revolution. Very quickly after the event, they came up with a manifesto that was revolutionary. And three, four months after, they started implementing land distribution. For 2011, I am not sure what to do with it - what label to tag onto it. Yes, it was much more a revolution in that sense of the word than 1952, because people rose to say no. It didn't become a revolution; it was hijacked. The Mubarak infrastructure was not touched. If it had been touched, what happened in 2013 couldn't have happened. That was another realisation. Al Jazeera: Can Egypt only be ruled by the military or the Muslim Brotherhood? Tahri: In a very clear way, to consolidate power, Egypt's rulers exert the most efforts in decapitating the middle ground. This dance between the governing party and the Muslim Brotherhood is part of that. All the democrats, all the liberals that are neither one extreme nor the other, are the first to be erased, the first to be silenced. Look at what happened today: Who's in prison today? There are many episodes with different presidents, and alternative visions that are neither Islamic nor military were never allowed to thrive. Crushing civil society has always been the tool of power. Others are just not part of the equation. They are used in the game between the two forces, which are the only existing forces. In 2011, there were finally elections that were supposed to be free. Who do we come with? Mohamed Morsi or Ahmad Shafik. It was one of the saddest days in my life. Finally, I could vote in my country, but who was I going to vote for? Mubarak's prime minister or the Muslim Brotherhood? Neither one of them was the real instigator of the revolt, but [both were] the hijackers of the revolt of the people. Al Jazeera: What do you make of the state of affairs in Egypt now? Tahri: My film ends in 2011. We, the people of Egypt, make our pharaohs. The idea of stability that Mubarak had so ingrained in the Egyptian people, as though stability and security are a political project, has meant that they were the only things that we could aspire towards. During Nasser's reign, there was an aspiration for development. There were political projects for the country to move forward. It's very ironic how making this film that ends five years ago feels very much like I am doing current affairs. What happened in 1954 is exactly what we went through during 2012 and 2013. The debate around military rule is still on the table. Al Jazeera: Your film also tackles religious extremism. Who is ultimately to blame? Tahri: I am not into the blame game. I tried to understand: Where do they come from? Egyptians are a very docile population and very hospitable. How did these ideologies gain such strength? I guess, from my research, all three of these presidents were responsible. The keyword for extremism is repression. Repression equals extremism. Shukri Mustafa came from the prisons of Nasser. The dialogue with this extremist thought, especially after Sayyid Qutb, was never had. Today, it's the same. We have learned no lessons from our own history. Maybe it's because we make an effort to erase our history. Al Jazeera: What do you make of the art scene in Cairo? Tahri: I think one of the most amazing things that happened with 2011 was this explosion of artistic expression. Every wall in downtown Cairo was a gallery. Street art exploded. All these different galleries, jewellry designers, etc. But then, look at what happened a couple of weeks ago: The Townhouse Gallery was raided by the censorship authority and the police and was closed down - something that never happened during the Mubarak regime. Look at the journalists ... who are in prison. We have returned to the domain of fear. We know how to function with fear. During the Nasser era, we used to say, "The walls have ears." The ears went deaf for a little while, but now they're hearing again.